Welding : principles and applications, 7th ed. Place of Publication Clifton Park, N.Y.
Now nearing its 30th year of publication, Welding : Principles and Applications (WP&A), 7th Edition is the authoritative introduction to the subject of welding. It’s designed for students in a wide range of academic and workforce training programs who want to pursue careers as skilled welders and welding supervisors. The text also supports the needs of learners who need to achieve a basic level of proficiency in welding in their chosen skilled trade. While covering the procedural and safety information all students need, Welding : Principles and Applications also explains underlying theories. The combination of hands-on information with clear explanations of theory is a hallmark of this book. 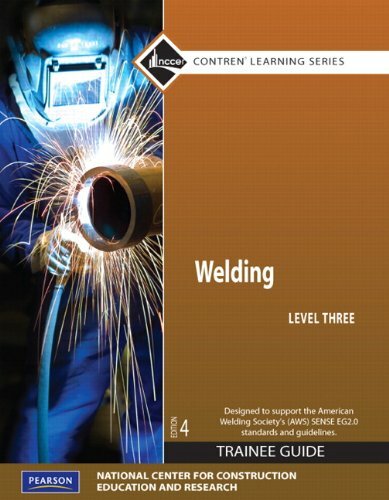 The depth of coverage allows it to be used as the core text in a multi-course welding curriculum, generally starting with shielded metal arc welding, and then covering other basic processes and more advanced techniques. Welding. Level 3. Trainee guide, 4th ed. This exceptionally produced trainee guide features a highly illustrated design, technical hints and tips from industry experts, review questions and a whole lot more! Key content includes SMAW – Open-Root Pipe Welds, GMAW – Pipe, FCAW – Pipe, GTAW – Carbon Steel Pipe, GTAW – Low Alloy and Stainless Steel Pipe, and SMAW: Stainless Steel Groove Welds. 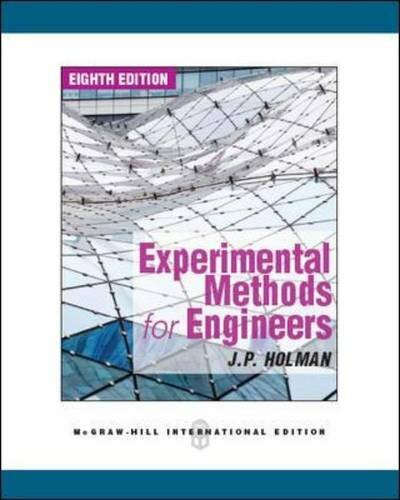 Experimental methods for engineers, 8th ed. This text offers a broad range of experimental measurement techniques for mechanical and general engineering applications. The author emphasizes the use of uncertainty analysis and statistical data analysis in the estimation of the accuracy of measurements and has included a separate chapter on report writing and presentations with descriptions of proper technique for graphical, tabular and nomenclature organization. This edition contains enhanced secitons on statistical data analysis and over 100 worked examples and 500 end-of-chapter problems. This book blends theory and applications, reinforcing concepts with practical real-world examples that illustrate the importance of probability to those who will use it in their subsequent courses and careers. The author emphasizes the study of probability distributions that characterize random variables, because this knowledge is essential in performing parametric statistical analysis. Explanations include the “why” as well as the “how” of probability distributions for random variables to help engage readers and further promote their understanding. In addition, the text includes a self-contained chapter on finite Markov chains, which introduces the basic aspects of Markov chains and illustrates their usefulness with several real examples. With its active, hands-on learning approach, this text enables readers to master the underlying principles of digital signal processing and its many applications in industries such as digital television, mobile and broadband communications, and medical/scientific devices. 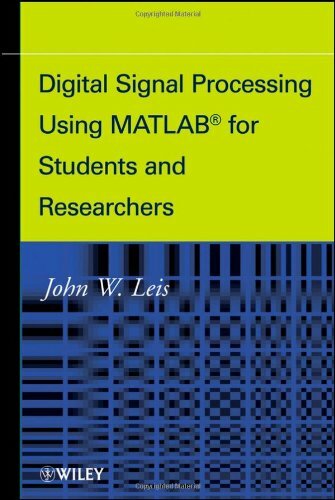 Carefully developed MATLAB® examples throughout the text illustrate the mathematical concepts and use of digital signal processing algorithms. Readers will develop a deeper understanding of how to apply the algorithms by manipulating the codes in the examples to see their effect. Moreover, plenty of exercises help to put knowledge into practice solving real-world signal processing challenges. Each chapter begins with chapter objectives and an introduction. A summary at the end of each chapter ensures that one has mastered all the key concepts and techniques before progressing in the text. Lastly, appendices listing selected web resources, research papers, and related textbooks enable the investigation of individual topics in greater depth. 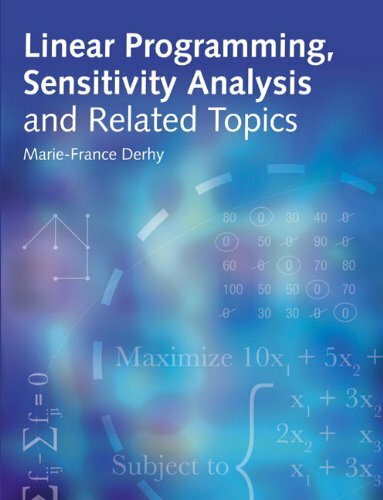 Upon completion of this text, readers will understand how to apply key algorithmic techniques to address practical signal processing problems as well as develop their own signal processing algorithms. Moreover, the text provides a solid foundation for evaluating and applying new digital processing signal techniques as they are developed. Whenever numerical simulation is employed in connection with engineering decision-making, there is an implied expectation of reliability: one cannot base decisions on computed information without believing that information is reliable enough to support those decisions. Using mathematical models to show the reliability of computer-generated information is an essential part of any modelling effort. Giving users of finite element analysis (FEA) software an introduction to verification and validation procedures, this book thoroughly covers the fundamentals of assuring reliability in numerical simulation. 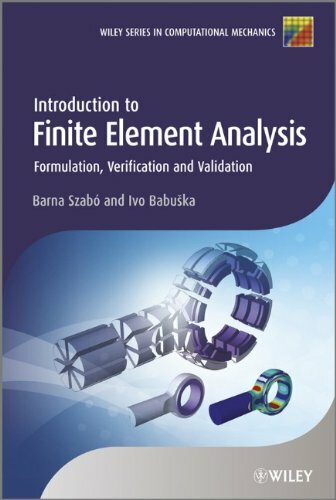 The renowned authors systematically guide readers through the basic theory and algorithmic structure of the finite element method, using helpful examples and exercises throughout. This well-respected text gives an introduction to the theory and application of modern numerical approximation techniques for students taking a one- or two-semester course in numerical analysis. With an accessible treatment that only requires a calculus prerequisite, Burden and Faires explain how, why, and when approximation techniques can be expected to work, and why, in some situations, they fail. A wealth of examples and exercises develop students’ intuition, and demonstrate the subject’s practical applications to important everyday problems in math, computing, engineering, and physical science disciplines. The first book of its kind built from the ground up to serve a diverse undergraduate audience, three decades later Burden and Faires remains the definitive introduction to a vital and practical subject. Dr. Donald Bailey starts with introductory material considering the problem of embedded image processing, and how some of the issues may be solved using parallel hardware solutions. Field programmable gate arrays (FPGAs) are introduced as a technology that provides flexible, fine-grained hardware that can readily exploit parallelism within many image processing algorithms. A brief review of FPGA programming languages provides the link between a software mindset normally associated with image processing algorithms, and the hardware mindset required for efficient utilization of a parallel hardware design. The design process for implementing an image processing algorithm on an FPGA is compared with that for a conventional software implementation, with the key differences highlighted. Particular attention is given to the techniques for mapping an algorithm onto an FPGA implementation, considering timing, memory bandwidth and resource constraints, and efficient hardware computational techniques. Extensive coverage is given of a range of low and intermediate level image processing operations, discussing efficient implementations and how these may vary according to the application. The techniques are illustrated with several example applications or case studies from projects or applications he has been involved with. Issues such as interfacing between the FPGA and peripheral devices are covered briefly, as is designing the system in such a way that it can be more readily debugged and tuned. 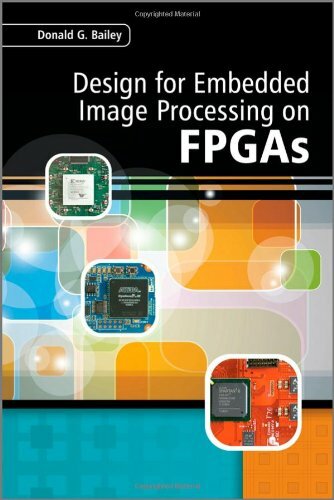 Design for Embedded Image Processing on FPGAs is ideal for researchers and engineers in the vision or image processing industry, who are looking at smart sensors, machine vision, and robotic vision, as well as FPGA developers and application engineers. The book can also be used by graduate students studying imaging systems, computer engineering, digital design, circuit design, or computer science. It can also be used as supplementary text for courses in advanced digital design, algorithm and hardware implementation, and digital signal processing and applications. 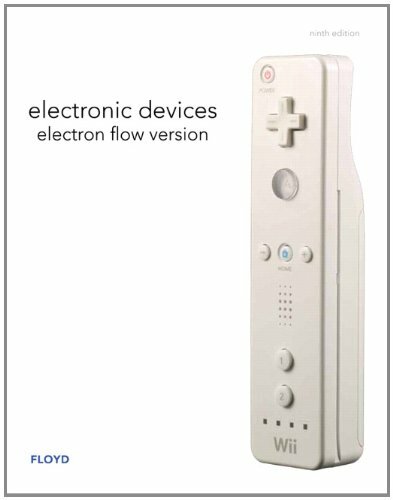 Electronic devices : electron flow version, 9th ed. 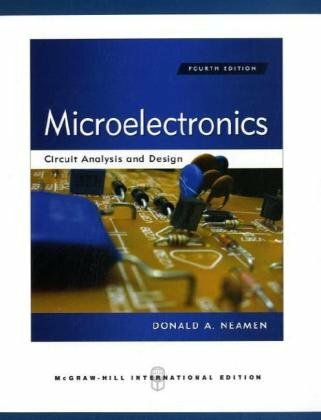 Microelectronics : circuit analysis and design, 4th ed. Microelectronics: Circuit Analysis and Design is intended as a core text in electronics for undergraduate electrical and computer engineering students. The fourth edition continues to provide a foundation for analyzing and designing both analog and digital electronic circuits. The goal has always been to make this book very readable and student friendly. An accessible approach to learning through clear writing and practical pedagogy has become the hallmark of “Microelectronics: Circuit Analysis and Design” by Donald Neamen. Now in its fourth edition, the text builds upon its strong pedagogy and tools for student assessment with key updates as well as revisions that allow for flexible coverage of op-amps. The term Mechatronics is a combination of the words “mechanics” and “electronics”. It is the blending of mechanical, electronic, and computer engineering into an integrated design and implementation. Mechatronics systems employ microprocessors and software as well as special-purpose electronics. The main objective of this interdisciplinary engineering field is the study of automated devices (e.g. robots) from an engineering perspective, thinking about the design of products and manufacturing processes. Today, mechatronics is having a significant and increasing impact on engineering – in the design, development, and operation of engineering systems. Mechatronics systems and products are well established in a great number of industries, such as the aircraft, automotive, computer, electronics, robotics/automation, manufacturing systems, computerized machine tools, communications, and biomedical industries. 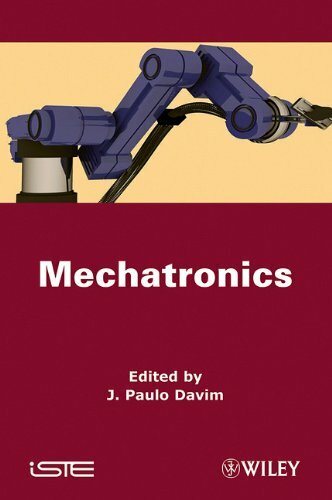 This book provides details on recent advances in mechatronics, and can be used as a guidebook for final undergraduate engineering courses (for example, mechanical, electronic, computer engineering) or as a reference to the subject of mechatronics at the postgraduate level. It can also serve as a useful reference for academics, mechatronics researchers, mechanical, electronic and computer engineers, and professionals in areas related to mechatronics and robotics. Electricity for refrigeration, heating, and air conditioning, 8th ed. 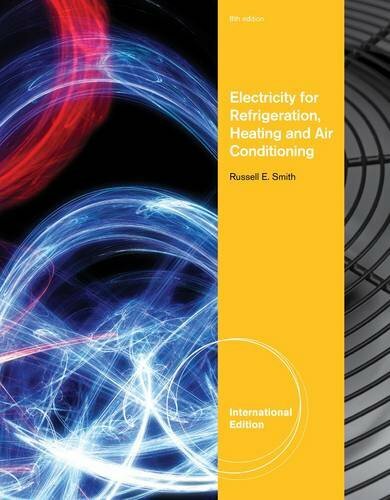 Electricity for Refrigeration, Heating, and Air Conditioning Technology, 8th Edition Provides Readers With the Basic electrical principles necessary to understand today’s modern control systems. the practical approach taken in this book allows readers to focus exclusively on the electronics information they will use in the field, without bogging them down in unnecessary theory. Electricity for Refrigeration, Heating, and Air Conditioning Technology, 8th Edition places an emphasis on developing systematic diagnosis and troubleshooting methods and procedures that will enable readers to become highly-skilled, professional HCAC-R service technicians. a comprehensive glossary is also included to assist those who are new to the field in understanding and using industry terms. This book covers all aspects of linear programming from the two-dimensional LPs and their extension to higher dimensional LPs, through duality and sensitivity analysis and finally to the examination of commented software outputs. The book is organised into three distinct parts: the first part studies the concepts of linear programming and presents its founding theorems complete with proofs and applications; the second part presents linear programming in the diversity of its variants (Integer Programming, Game Theory, Transportation Problem, Assignment Model), and highlights the modelling problems that are involved in network optimisation; the final part furthers the discussion on selected topics and presents an opening to nonlinear programming through quadratic programming. Kapihan sa Aklatan is an annual event where new COE faculty members are given orientation on the services, resources, and facilities of the library. To equip them with the basics on the use and access of some of Engglib’s online resources, a hands-on training was also facilitated by the subscription providers. Now on its fifth year, the said forum and orientation is part of the library’s information literacy program. It is a venue for the new faculty to learn how the library can be of great help in their research and teaching. This year’s Kapihan was held last August 13, 2012 at the Maynilad Room, Third Floor of Melchor Hall. One of the highlights of the program was the Kapihan part wherein EnggLibrarians headed by Ms. Sharon Maria S. Esposo-Betan, were given an opportunity to meet the new faculty and discuss with them what the library has to offer. In return, the new faculty will be enlightened with their privileges and queries on the library’s services, resources and facilities. The awarding ceremonies of the winners of EnggLib’s Scavenger Hunt for Freshies 2012 and Elsevier Philippines Online Challenge for Scopus and Science Direct 2012 were also conducted in the said event. As EnggLib’s little way of formally welcoming the new faculty as library partners, participants were served with free cocktails and freebies and exciting prizes were also given. Raffle prizes were made possible through the generous support of LibTech, Springer Philippines and MegaTEXTs. Participants included the new engineering faculty from the various departments along with some senior faculty, Library Faculty Committee Chair Dr. Florencio C. Ballesteros Jr. and representatives, and student winners of said contests. Presenters were the sales and marketing executives of Springer Philippines, LibTech Source Philippines and MegaTEXTs. Linear algebra occupies a central place in modern mathematics. 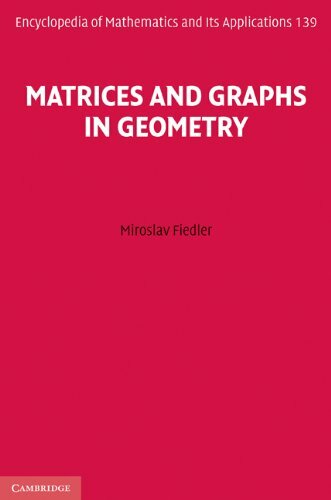 This book provides a rigorous and thorough development of linear algebra at an advanced level, and is directed at graduate students and professional mathematicians. 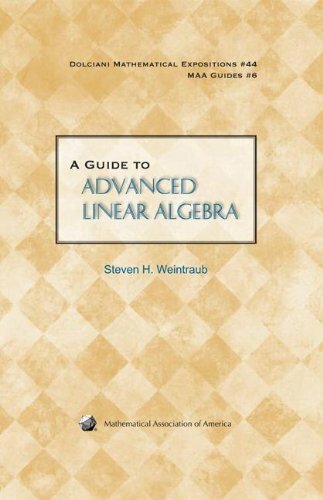 It approaches linear algebra from an algebraic point of view, but its selection of topics is governed not only for their importance in linear algebra itself, but also for their applications throughout mathematics. Students in algebra, analysis, and topology will find much of interest and use to them, and the careful treatment and breadth of subject matter will make this book a valuable reference for mathematicians throughout their professional lives. Topics treated in this book include: vector spaces and linear transformations; dimension counting and applications; representation of linear transformations by matrices; duality; determinants and their uses; rational and especially Jordan canonical form; bilinear forms; inner product spaces; normal linear transformations and the spectral theorem; and an introduction to matrix groups as Lie groups. The book treats vector spaces in full generality, though it concentrates on the finite dimensional case. Also, it treats vector spaces over arbitrary fields, specializing to algebraically closed fields or to the fields of real and complex numbers as necessary. 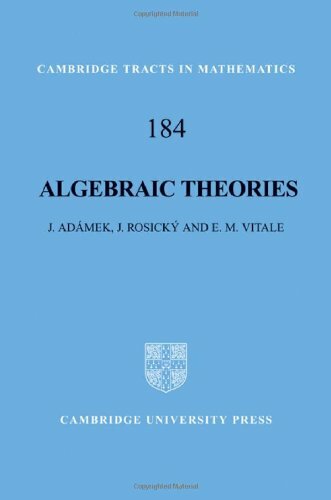 Algebraic theories, introduced as a concept in the 1960s, have been a fundamental step towards a categorical view of general algebra. Moreover, they have proved very useful in various areas of mathematics and computer science. This carefully developed book gives a systematic introduction to algebra based on algebraic theories that is accessible to both graduate students and researchers. It will facilitate interactions of general algebra, category theory and computer science. A central concept is that of sifted colimits – that is, those commuting with finite products in sets. The authors prove the duality between algebraic categories and algebraic theories and discuss Morita equivalence between algebraic theories. They also pay special attention to one-sorted algebraic theories and the corresponding concrete algebraic categories over sets, and to S-sorted algebraic theories, which are important in program semantics. The final chapter is devoted to finitary localizations of algebraic categories, a recent research area. Simplex geometry is a topic generalizing geometry of the triangle and tetrahedron. The appropriate tool for its study is matrix theory, but applications usually involve solving huge systems of linear equations or eigenvalue problems, and geometry can help in visualizing the behaviour of the problem. In many cases, solving such systems may depend more on the distribution of non-zero coefficients than on their values, so graph theory is also useful. The author has discovered a method that in many (symmetric) cases helps to split huge systems into smaller parts. Many readers will welcome this book, from undergraduates to specialists in mathematics, as well as non-specialists who only use mathematics occasionally, and anyone who enjoys geometric theorems. It acquaints the reader with basic matrix theory, graph theory and elementary Euclidean geometry so that they too can appreciate the underlying connections between these various areas of mathematics and computer science. Place of Publication Mineola, N.Y. 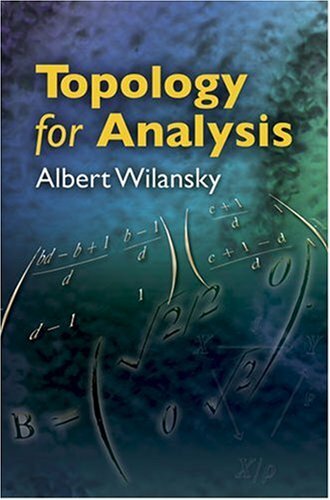 Appropriate for both students and professionals, this volume starts with the first principles of topology and advances to general analysis. Three levels of examples and problems, ordered and numbered by degree of difficulty, illustrate important concepts. A 40-page appendix, featuring tables of theorems and counter examples, provides a valuable reference. From explorations of topological space, convergence, and separation axioms, the text proceeds to considerations of sup and weak topologies, products and quotients, compactness and compactification, and complete semimetric space. The concluding chapters explore metrization, topological groups, and function spaces. Each subject area is supplemented with examples, problems, and exercises that progress to increasingly rigorous levels. All examples and problems are classified as essential, optional, and advanced. Quantum computers are the proposed centerpieces of a revolutionary, 21st century quantum information technology. 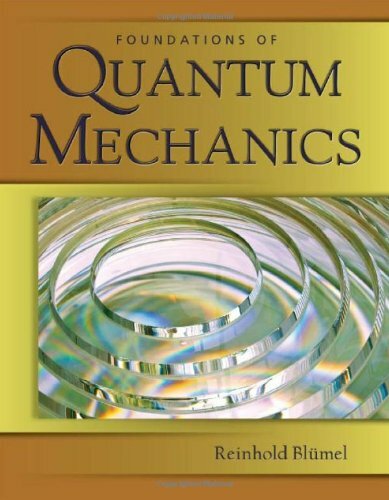 Ideal for undergraduate and graduate courses in modern quantum physics, Foundations of Quantum Mechanics: From Photons to Quantum Computers takes the reader into the fascinating world of quantum mechanics and continues on an in-depth study of quantum information and quantum computing, including an entire chapter on the future of quantum technology. This accessible text with modern applications focuses on what is quantum about quantum mechanics; topics discussed include the EPR paradox, entanglement, teleportation, Bell’ s Theorem, quantum computing, and code-breaking with quantum computers. 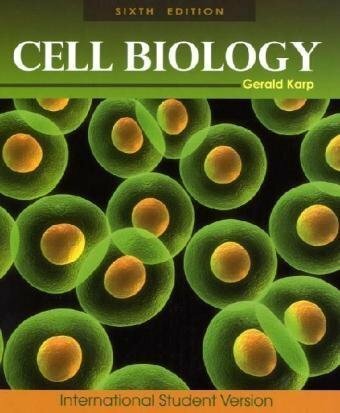 Place of Publication Hoboken, N. J.
Karp continues to help biologists make important connections between key concepts and experimentation. The sixth edition explores core concepts in considerable depth and presents experimental detail when it helps to explain and reinforce the concepts. The majority of discussions have been modified to reflect the latest changes in the field. The book also builds on its strong illustration program by opening each chapter with “VIP” art that serves as a visual summary for the chapter. Over 60 new micrographs and computer-derived images have been added to enhance the material. Biologists benefit from these changes as they build their skills in making the connection. Filled with step-by-step procedures for performing hundreds of calculations, this practical guide helps you solve a variety of applied energy engineering design and operating problems. 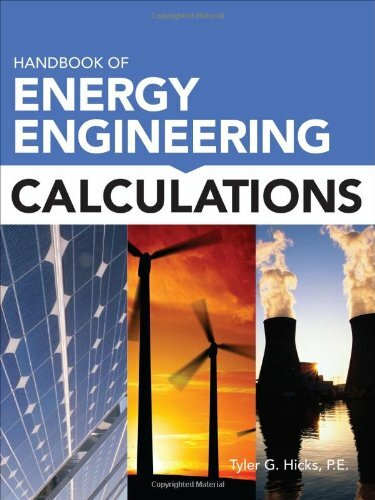 Handbook of Energy Engineering Calculations features worked-out examples and enables you to obtain accurately results with minimum time and effort. Calculation procedures emphasize greenhouse gas and carbon dioxide emissions control as well as energy conservation and reuse. This is an invaluable, time-saving resource for anyone involved in energy engineering.